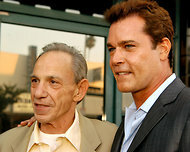 Henry Hill died Tuesday in Los Angeles. The mobster had a major impact on an industry he–to my knowledge–never tried to influence. In 1981, Simon & Schuster published Wiseguy: Life in a Mafia Family, by Hill, the pseudonym of a man under federal witness protection. Ray Liotta played Hill in Martin Scorsese’s 1990 movie, Goodfellas. In 1991, the Supreme Court held that the law unconstitutionally infringed on freedom of speech because it applied not only to convicted criminals, but also to persons accused but not convicted and to persons who admitted an unprosecuted crime. The Court agreed that New York has a “compelling interest” in depriving criminals of the profits of their crimes, and in using those profits to help victims. But the state can’t confiscate payment for works that only tangentially refer to a crime. Since then, laws have been rewritten to target convicted criminals who write or sell a story primarily about their crimes. The New York Times describes Hill’s career in some detail. Horrifying and fascinating. Similar anti-notoriety laws now exist in about forty states and the federal system. The goal is to prevent criminals from profiting by books or movies about their crimes while their victims suffer financially–and suffer from the added publicity. The criminal may still write a book or sell his story to a magazine or a movie producer. But instead of paying the criminal, the publisher or producer pays the state where he was convicted. Systems vary. In some states, the author’s victims must sue him in civil court for money damages; judgment in hand, they file a claim with the state against the money received. In others, payments are routed through the state crime victims’ fund; money not paid to the victims may be returned to the criminal, applied to the state’s costs of trial, or used to compensate victims of other crimes. Other examples: several political figures wrote biographies admitting involvement in Watergate, but were never convicted of crimes. They can keep their profits. An ex-President who makes a passing reference in a memoir to having inhaled can keep the profits. And Son of Sam laws don’t affect a felon who writes about how prison changed his life but only incidentally mentions the crimes that landed him there, because the focus is his personal transformation. This entry was posted in Books Crooks and Counselors and tagged Goodfellas, Henry Hill, Ray Liotta, Son of Sam laws by Leslie Budewitz. Bookmark the permalink. Well, I learned something today. I am familiar with the Son of Sam law, but had no idea Henry Hill/Wiseguy had a tie-in. It’s also news to me that a felon can profit from a story of his personal transformation if his crimes are mentioned only incidentally. Hm. Henry Hill did serve 8 years in prison during which time his family was in Witness Protection. I met Henry at a Sisters in Crime meeting–ate lunch with him and his girlfriend, and others. At the time he was no longer in the Witness Protection program because as he told me everyone who wanted to see him dead had already died. Marilyn, has your lunch with the mobster made it into a book? Great material! I believe this law was used when OJ Simpson wrote a book about how he might have commited the murders. Nicole Simpson’s family sued to get the profits from the book. As I recall, the book didn’t sell well anyway. Not sure if the Simpson family received the royalties. Anyone know? I don’t know why OJ would have written such a book unless he either thought he’d get rich from it or unless he wanted to unburden his guilt. Sally, Simpson’s book was scheduled for publication, then cancelled after an outcry, although apparently some copies were leaked. The Goldman family obtained the rights to the book in bankruptcy court — Simpson had filed bankruptcy in response to their civil judgment — added some sections or comments to the book, then published it. Son of Sam laws apply only to crimes for which the author was convicted — and Simpson was not convicted of a crime for the murders, so while I have not seen the bankruptcy court’s analysis, I feel fairly safe saying the basis for transferring his rights in to the Goldman family was their outstanding judgment, not a Son of Sam law.